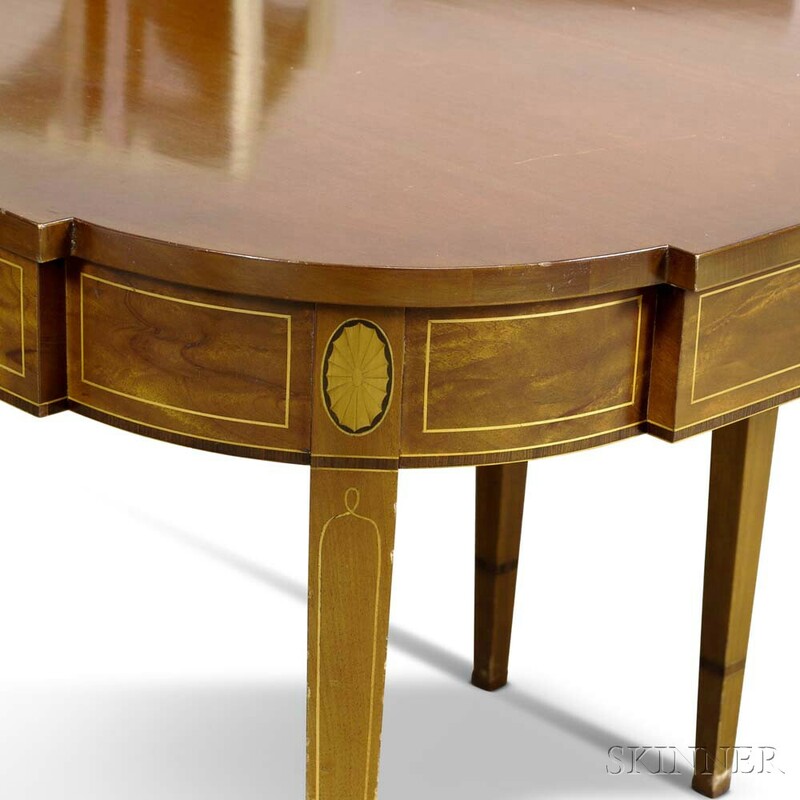 Federal-style Inlaid Mahogany Dining Table, sold with three leaves, ht. 29 3/4, wd. 68, dp. 44 in.